In a previous blog post I discussed the uses of Ylang Ylang (Cananga odorata) essential oil, but I only hinted at its scent. It can be quite difficult to describe an odor because the sense of smell has a language all its own. For those who have never smelled the oil, I offer you these insights excerpted from a post written by the Atlantic Institute of Aromatherapy. 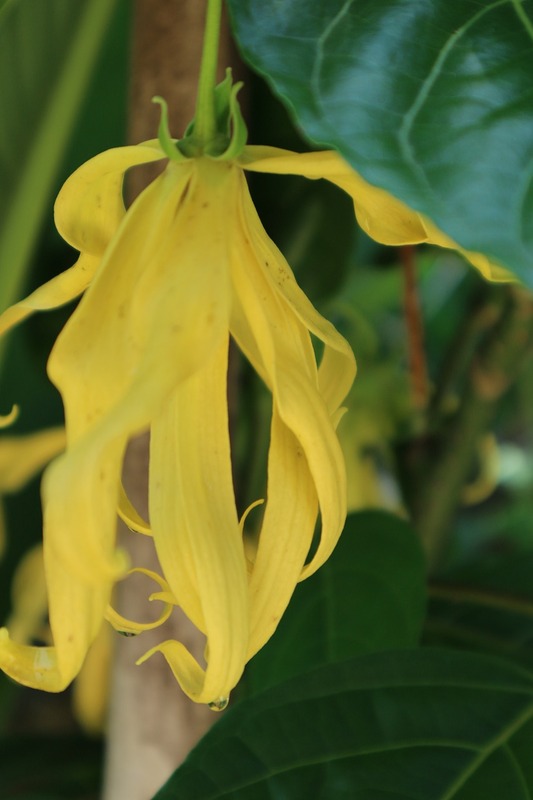 Ylang Ylang “is distilled in fractions. A single distillation will produce several different versions of Ylang that all smell different. This is why the oils are labeled as Extra Superior, Extra, First, Second, Third, and Complete.